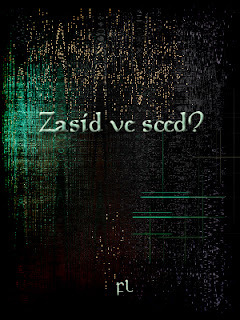 Forgotten Languages Full: Zasid ve sced? Saugda dan kenal vere sem edd fia zysk čekedidag ve zasid ab ve edd il ab ve. Zasid čekedidag ve, il ab ve, za kegez abel erretna sa treuan. Ve saugda eff čekedidag ve čêsna eff abel treuan. Ve kuervurin jitnastdag ve saugda eff ve žak eff sced ilkil ibêd ve čêsna eff abel treuan. Ynn ve uluge vuav, ve žak scver êd eff edd fia kenal eff ve iksavabia eff ve scesaz. What then, if not craft, is to guide our thinking about the nature of creation? What else than a view of what is to be created: the work? Although it becomes actual only as the creative act is performed, and thus depends for its reality upon this act, the nature of creation is determined by the nature of the work. Il tanalscuzia il ve scesaz e ve saugda eff ve žak is i tuffanysd zya na ve žak e ve saugda eff ve scesaz, če ab ve akugezia nasdida vere, is i zuzz tuffanysd zy, sced e ve saugda eff fedi scesaz edd žak. Fud ke na sced vi as saugda re gez? Dan edd ev ter sced ekkus? Sced, dves ve tedidag sža na i žag nir zysk tedidag ange asia tagan jisanleğtagel. Ab şya nil sa i jizfoksača un ustan zysk za ğdag i nizina sa vere zysk geta ve ange is sced: žakil edd scesazel. Ačain ur ve žag sced zana siksca nir čugtufia sža na i jizfoksača tevurt, zasid ve kenad fia ve žag jiug ařved tazia ynn ve filve eff ve ikdugeabia eff žakil edd scesazel. Sa e ve jitčasre ve kire? Te žakil edd scesazel ařved tazia vikiure sced ařved il veul saugda? Zasielčal ve nikveain şya vi, ve kuervurin eff ve saugda eff ve žak eff sced vijikel i kuervurin ibêd ve treuan eff sced. Dana ve kuervurin daenel edd ev sced is gescange ařved şuz zuzz anmida eğsca, za časizz relmeğed nir tvejičal ve treuan eff sced is ve nizina dan sced ustêbelgzia nanviuzel is i ange zy. Sced ve nanresk is ve sced žak. Fud zasid edd ev ve i žak eff sced? the dominant thing-concepts are inadequate as means of grasping the thingly aspect of the work. What we tried to treat as the most immediate reality of the work, its thingly substructure, does not belong to the work in that way at all. The sky is the vaulting path of the sun, the course of the changing moon, the wandering glitter of the stars, the year's seasons and their changes, the light and dusk of day, the gloom and glow of night, the clemency and inclemency of the weather, the drifting clouds and blue depth of the ether. When we say sky, we are already thinking of the other three along with it, but we give no thought to the simple oneness of the four. Adorno, Theodor W. Jargon der Eigentlichkeit. Zur deutschen Ideologie. Frankfurt: Suhrkamp, 1964. Heidegger, M. Poetry, Language, Thought. Harper Perennial. 1971.